Benoit Destenaves has 17 years of experience in the biotechnology and pharmaceutical industry where he has held positions of increasing responsibility establishing personalised health care in oncology, endocrinology and fertility. 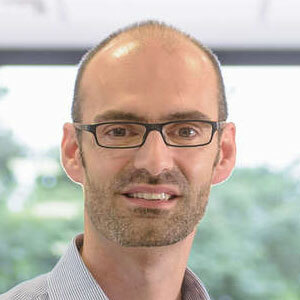 Benoit Joined AstraZeneca in 2013 to lead the Molecular Diagnostics Labs group within the Personalised Healthcare and Biomarkers Function where he developed the group’s focus on novel approaches (ctDNA, NGS) for CDx. He now leads strategic diagnostic projects and PHC approaches for several AstraZeneca drugs.